In the middle of an incomparable spot, painted with a range of colors that nature has whimsically combined, is the Tayka del Desierto Hotel, in the heart of the Siloli Desert. The hotel was built next to a water source, where different birds of the place (among them partridges) went to drink water. The combination of the water source, also called water eyes, and the presence of these birds ended up giving the hotel its name: Tayka del Desierto Hotel Ojo de Perdiz (Partridge´s eye), also known as Ojito de Perdiz. 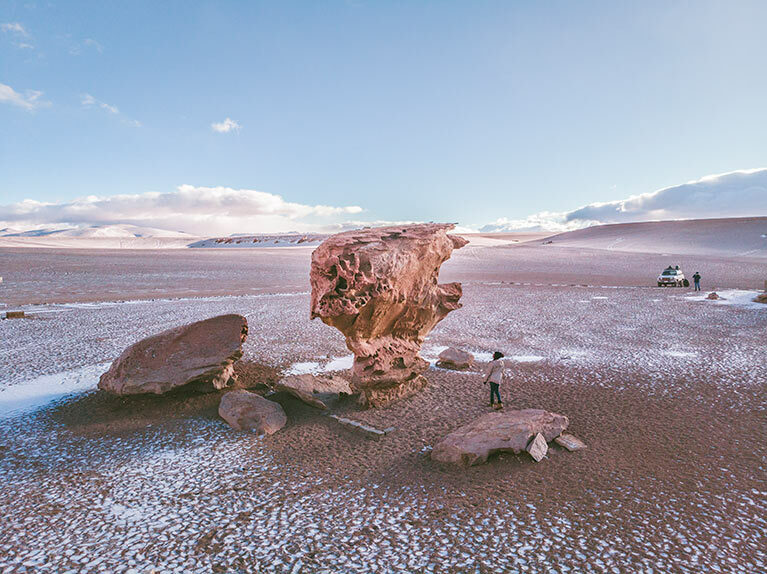 The Tayka del Desierto Hotel not only offers a unique view, it is also strategically located to visit one of the most beautiful places in South America: the Eduardo Avaroa Andean Flora and Fauna National Reserve, where you will find the wonderful Colorful Lagoons, the Sol de Mañana Geyser and the Stone Tree, among other attractions that await your visit. Its perfect location makes it a unique hotel and the first choice of accommodation in the area.